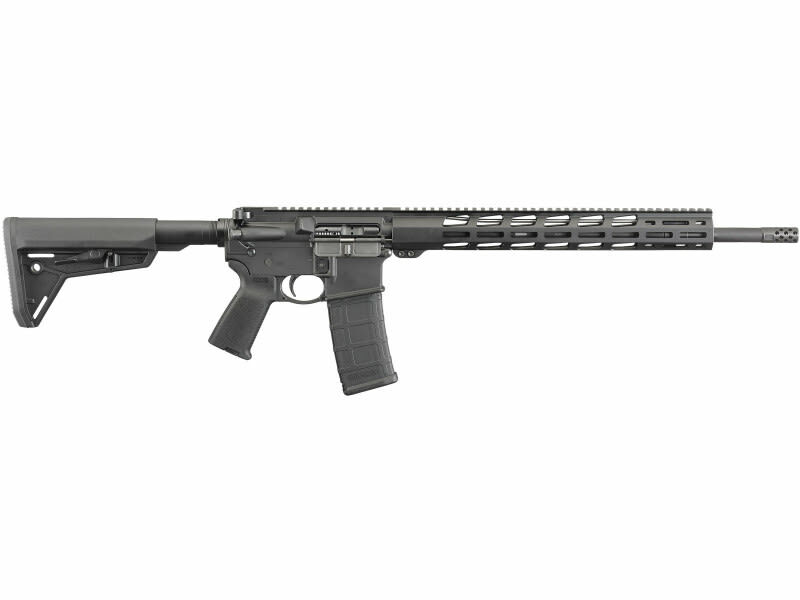 Ruger 8514: Ruger's AR-556 MPR rifle has a rifle-length gas system which provides smoother operation and reduces felt recoil. The matte black oxide chrome-plated bolt carrier inside diameter and chrome-plated gas key inside diameter provides exceptional resistance to hot gases. 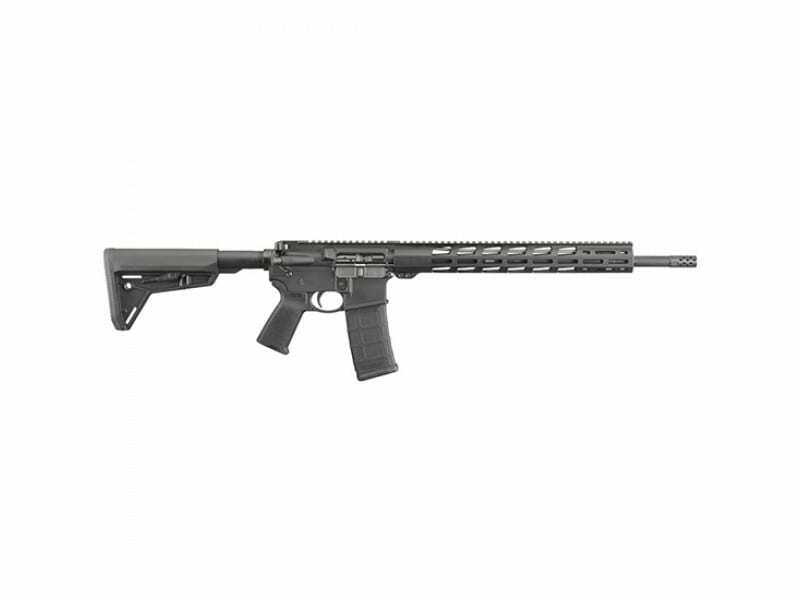 Its lower receiver is fitted with Magpul MOE grip and a Ruger Elite 452 two-stage AR-trigger which offers a smooth, crisp, 4.5 pound trigger pull. The flattop upper receiver is made from forged aerospace-grade 7075-T6 aluminum, and includes a forward assist, dust cover and brass deflector. Its handguard is free-floating for accuracy and features Magpul M-LOK attachment slots along the 3, 6 and 9 positions. The threaded, cold hammer-forged, 4140 chrome-moly steel barrel with ultra-precise rifling provides exceptional accuracy, longevity and easy cleaning. The barrel also provides M4 feed ramps which improves operational reliability, while the matte black nitride finish provides corrosion resistance. 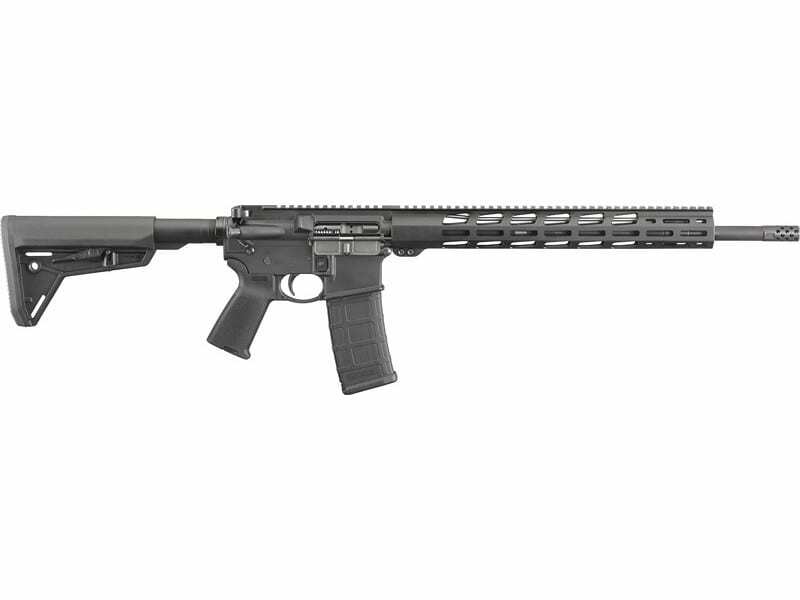 The AR-556 MPR has a Magpul MOE SL collapsible buttstock on the Mil-Spec buffer tube and includes a 30-round Magpul Pmag.